As you might have read our previous article on How to Earn From Home Without Any Investment, we had mentioned Blogging on the number one point and this tutorial is going to help you for that. Setting up a custom domain on blogger is very easy and it doesn’t take more than 5-10 minutes to complete the process. We all know that Blogger is a platform by Google which is free of cost and doesn’t cost anything, which means you are free from any Web-Hosting fees that you pay on a monthly basis. Blogger is very fast in terms of accessing and the images that you upload are stored through the mean of CDN which signifies as content delivery network (CDN) which is a system of distributed networks and delivers the content of the article to the user based on the geographic location, this makes the access to the website very quickly. 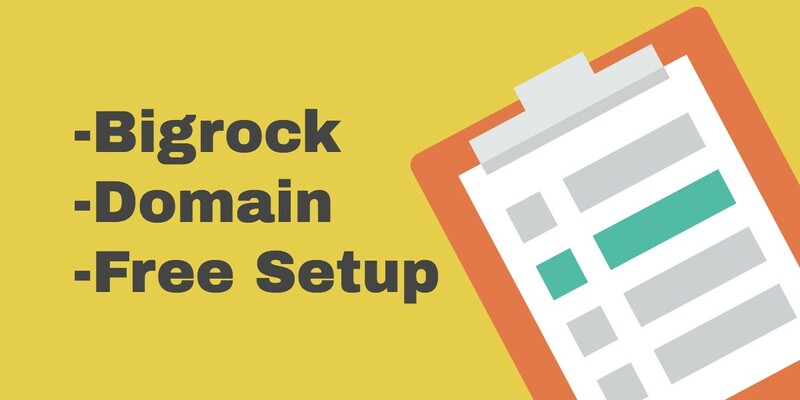 Bigrock is a domain registrar based in India that provides domains for a very reasonable rate, that is why we have picked Bigrock and are going to write this tutorial to set up the custom domain on blogger for free. 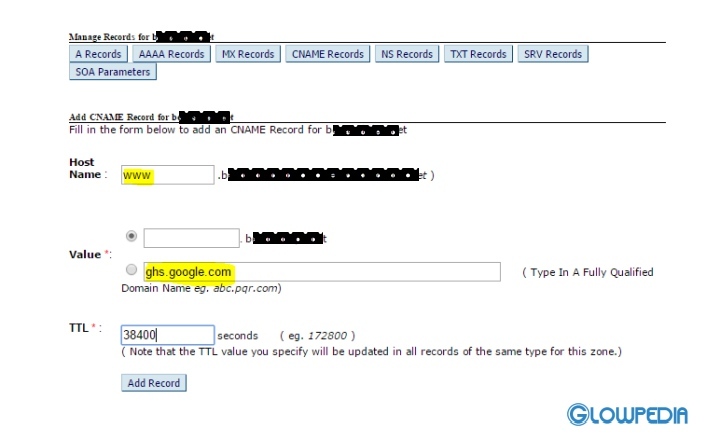 Leave name column blank use above IP in Destination IPv4 Address and use TTL value 28800.
www in the Name box and put Value ghs.google.com and TTL 28800 and save your cname record. Go to Setting Tab >> Then Basic >> Publishing Blog Address >> Add Custom Domain name >> Switch To Advance Settings now type your domain name in the box and click on save button. Then your blog asks you to verify authority on that domain name. Now you have to create another cname record in Domain DNS to verify. First code in the Name box and Second long code in Value Box of Cname and add TTL 28800. 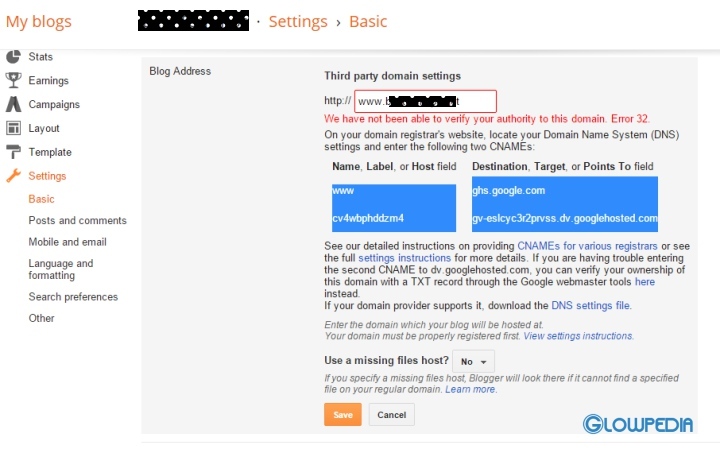 Now, after following all above steps carefully, it may take few hours to updates DNS settings and blog verification. After few hours add domain name again by switching custom settings in your blogs.